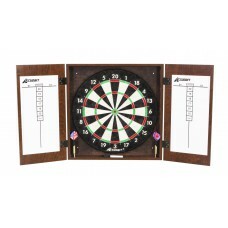 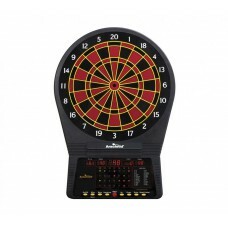 Bullshooter CricketMaxx 1.0 electronic dartboard with cabinet from Arachnid®. Get everything you nee..
CricketPro 740 electronic dartboard from Arachnid®. 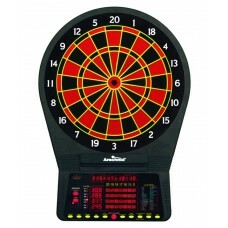 This tournament quality electronic dartboa..
CricketPro 750 electronic dartboard from Arachnid®. 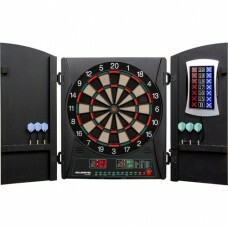 This tournament quality electronic dartboard fea..
CricketPro 800 electronic dartboard from Arachnid®. 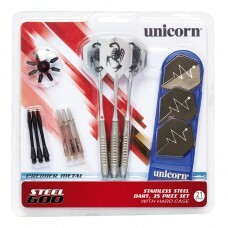 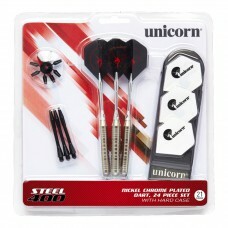 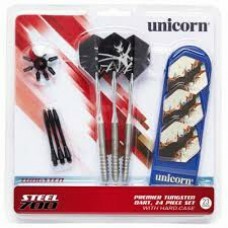 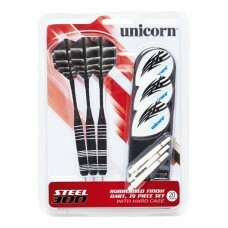 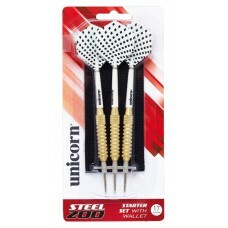 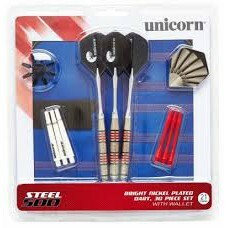 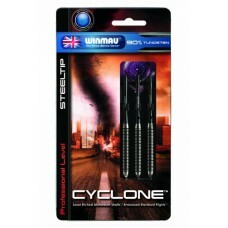 This tournament quality electronic dartboard fea..
Cyclone retractable point steel dart set from Winmau. 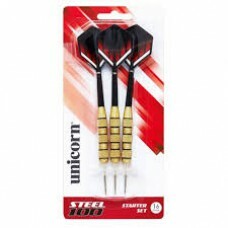 This set of three darts feature smooth retract..
• 18” x 2 1/2” target area • Available in rosewood finish • Includes official bristl..
• 17g Brass plated barrels (3) • Gripper shafts (3) • Polyester flights (3) • Include..
• 20g Rubberized steel barrels (3 • Gripper shafts (3), XL shafts (3) • Polyester flights ..
• 21g Nickel chrome plated barrels (3) • XL Aluminum shafts (3), XL shafts (3) • Polyester..
• 21g Bright Nickel plated barrels (3) • XL Aluminum shafts (3), XL shafts (3), Gripper 3 shaft..
• 21g Stainless steel barrels (3 • XL Aluminum shafts (3), XL shafts (3) Gripper 3 shafts (3)&n..
• 23g Tungsten barrels (3) • XL Aluminum shafts (3), XL shafts (3) • Polyester flights (6)..